Preheat oven to 350°F. 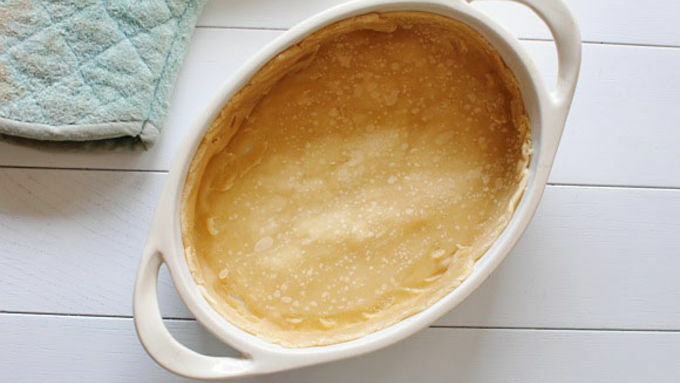 Unroll and place the pie crust inside a 2 quart baking dish, or a pie pan. Bake for 10 minutes. 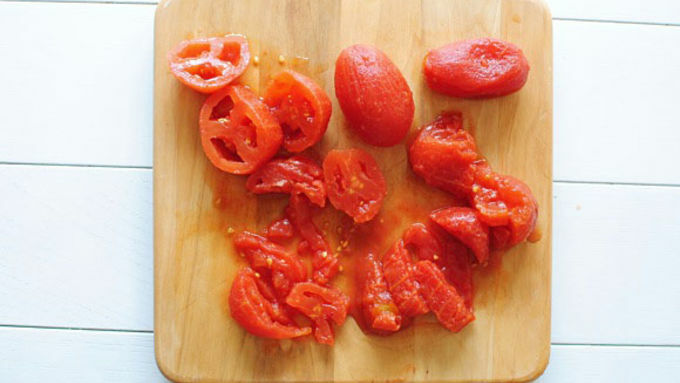 In the meantime, drain the tomatoes and pat them as dry as you can. Slice them. 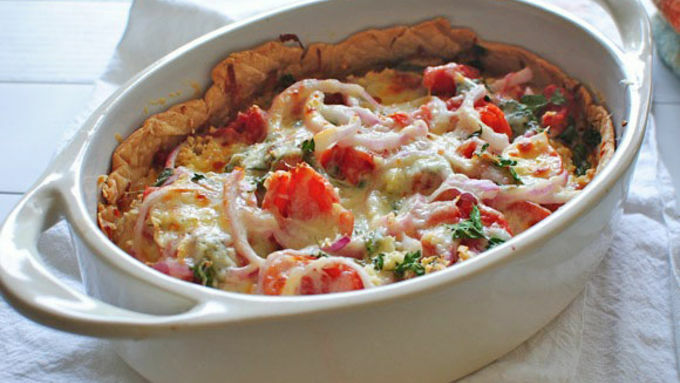 Arrange half the sliced tomatoes in the bottom of the parbaked pie crust. Layer half the onions on top, followed by half the garlic, half the thyme, oregano, goat cheese, mozzarella cheese and romano. 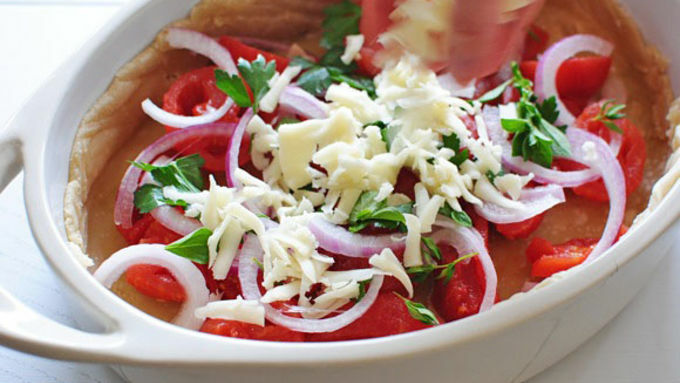 Then layer with the remaining tomatoes, onions, garlic, herbs and cheeses. Lightly sprinkle the top with the garlic powder and a small pinch of salt. 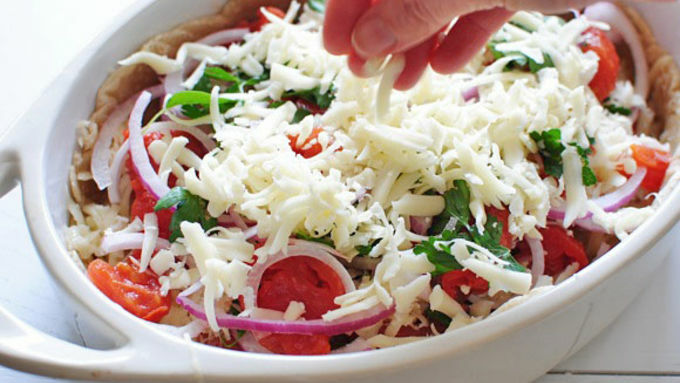 Bake for 30 minutes, or until the cheese is starting to brown and bubble. Serve immediately! 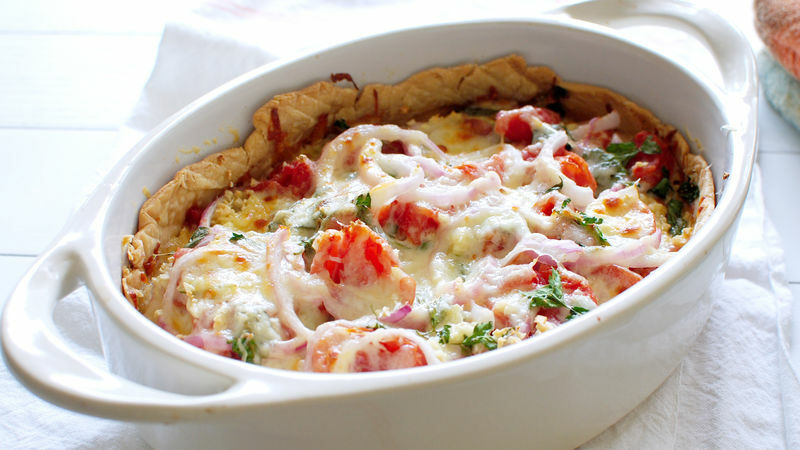 Goat Cheese + Tomato + Pie = HELP ME, HARRY. I have an obnoxious amount of photos of this here Goat Cheese Tomato Pot Pie. I couldn't help it! Cheesy, rustic-y things with a pie crust just deserve it, dang it! Plus, I just couldn't decide on the best angle to show you. I had to show you every angle! Every side! Everything! Why am I so obsessed with exclamation points today?! Who cares. Let's eat.